Homeowners Insurance: What Doesn’t It Cover? If you are a homeowner, odds are very good you have homeowners insurance. First, because it’s required by the bank if you have a mortgage, and second: why wouldn’t you? Your home is a much more expensive investment than the small monthly cost of insurance. If, for example, something happens to your roof, you want to know that you will have someone help you cover the repair and/or replacement costs. That’s right, even if you live in a very wet area, your homeowners insurance may not cover any form of water or flood damage. However, especially in areas prone to flooding, FEMA provides an insurance rider that will cover some or all water damage. Be sure to check with your insurance about how to get FEMA coverage. This one is a bigger concern, especially for those of us in California. 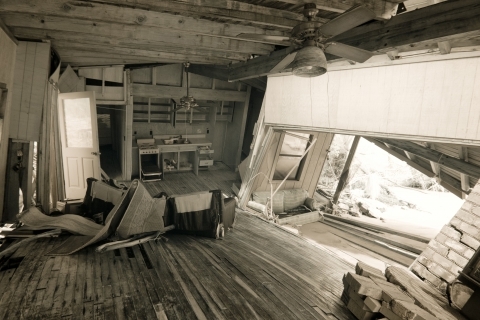 If you want coverage for your home in case of earthquakes, you will likely need a separate policy that works in conjunction with your traditional homeowners policy. In areas prone to earthquakes, however, that additional policy should be easy to obtain. Call your insurance agent to discuss your options before disaster strikes! If your home is damaged by multiple weather events at once – for example, flooding and wind damage – and your policy only covers one of the events, you may not get coverage for any of the damage! 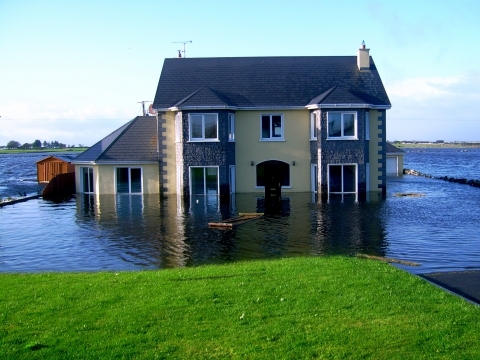 This is typically because it can be impossible to discern what was caused by flooding versus what was done by wind, do your homeowners policy defaults to not covering any of it. Additional coverage like a flood rider can help prevent damage from racking up a lot of out-of-pocket costs for you. That’s right, it’s an unplannable natural occurrence, but your insurance policy probably doesn’t cover damage done by sinkholes. You will need to speak with your insurance provider if you feel your home is at risk to sinkholes; however, for most of the country, this is a rare occurrence, so not something you should worry about. This one is a bit of a stickier issue; most homeowners policies do cover burst pipes – as long as they didn’t burst because of homeowner negligence. This means, if you turn the heat off while you’re out of town and there’s a cold snap, you could be stuck paying for those repairs out of pocket. Be sure to flush your pipes or leave the heat on to prevent a cold-weather disaster. That’s right, that awesome play thing in your backyard? Your insurance probably doesn’t cover any injuries gained whilst using your trampoline. They are, unfortunately, a major cause of E.R. visits each year, so insurance companies see this as a high-risk coverage. If you want your trampoline covered, talk to your insurance agent about what you can do. At ServiceMaster Absolute, we want you and your family to be safe and protected – and foreknowledge is part of that! If you have had a disaster like flood damage happen, you or your insurance company can call us for water damage restoration and more. If you have questions, call us today!